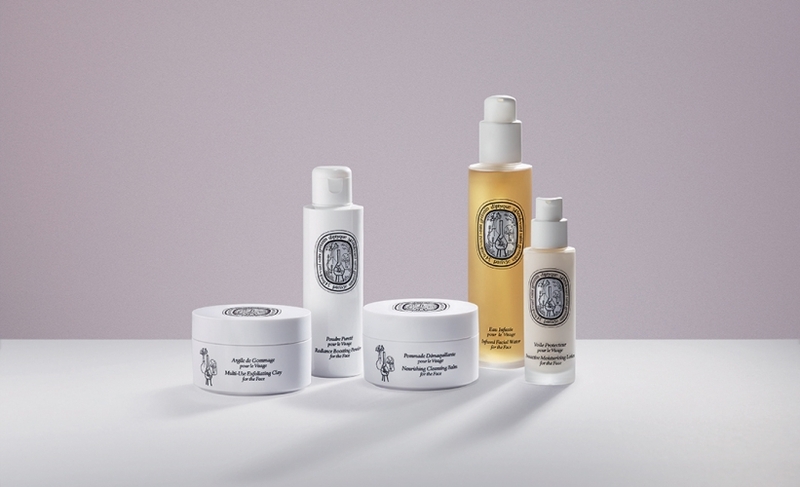 After initially creating a poetic and richly indulgent collection for the body, L’ART DU SOIN takes the pleasure further: a new range especially for the face, formulated with beneficial infusions of natural ingredients. Delicately scented products with original, luxurious textures to stimulate and soothe the senses, metamorphosing upon contact with skin or water. Carefully chosen floral infusions and waxes for a radiant complexion that glows with well-being. The Infused Facial Water, for the face has a central role in this process: full of vitamins, minerals and moisturising agents, it is an ideal substitute for water in each of the products in the range. Made from a hydrolate of Damask rose - from which it takes its scent - an infusion of nasturtium, which brings out the radiance in one’s complexion, and a blend of nine traditional plants and flowers, it is fresh and absorbent, cleansing the skin gently, moisturising, toning and restoring it to its natural radiance. Applied before cream or your everyday skincare product, it will increase its powers by tenfold! The fineness of the Radiance Boosting Powder for the Face evokes the Japanese rituals by which it was inspired. Its fragrance blends the invigorating freshness of verbena with the smoothness of neroli. Upon contact with water, it is transformed into a delicate foam, which gently cleanses and gives a radiant shine. White clay restores minerals to the skin as it cleanses, and is infused with rose petal, jasmine and sweet orange blossom powders, which have softening, soothing properties. A cocktail of vitamins, ECA and trace minerals (sodium, magnesium, zinc and manganese), it revives dull, fatigued complexions. 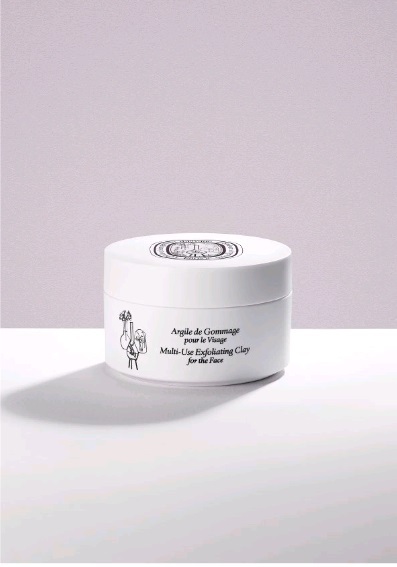 The Nourishing Cleansing Balm for the Face, a white balm with the appearance of wax and scented with geranium and roses, transforms into a fine oil between your fingers, then into a milky emulsion upon contact with water. 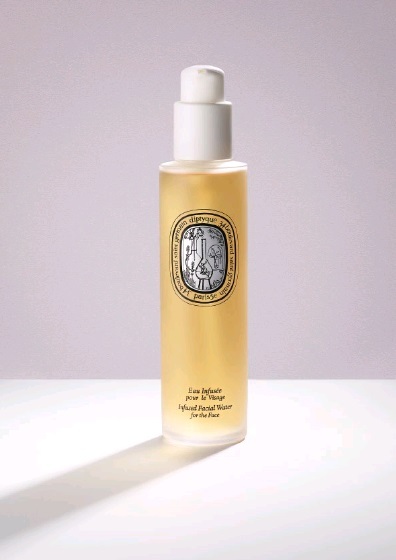 It cleanses the skin, leaving it purified and as soft as velvet. Sweet almond oil, known for its nourishing, soothing and regenerative properties, is mixed with three essential waxes: refreshing ylang-ylang, softening mimosa and astringent geranium, and can be used as a mask. used in Japan. It has multiple uses, as this perfect exfoliant can also be used as a mask, then rinsed off with a towel soaked in warm water. Adding a few drops of Infused Facial Water to the mask will double its fresh, invigorating action. Protective Moisturizing Lotion for the Face. It has multiple uses: on its own, before another cream or even on top of foundation to increase its protection. Its intense moisturising action also has SPF 15 for sun protection. It owes the name of Lotion to its velvety lightness, like a breath of wind that keeps the skin hydrated for many hours. A combination of refreshing Damask rose hydrolate infused with extracts of white lily and calendula, which moisturise, calm and soften, and grape extract which brightens the complexion and acts on pigmentation. It blends the scent of orange blossom with the tangy freshness of Petitgrain Paraguay. 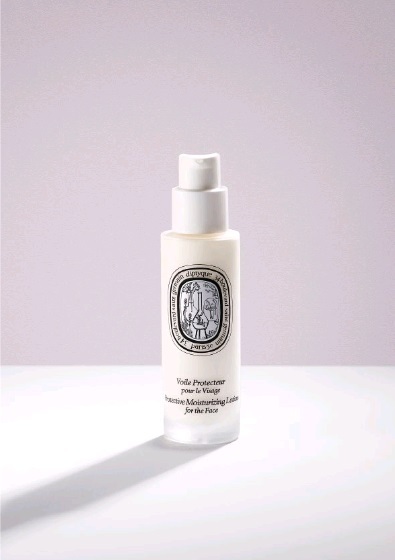 L’Art du Soin will be available exclusively at diptyque Pavilion in May 2014.